Smurfit Kappa has called on the world’s innovation community to contribute to the development of the sustainable packaging solutions of the future. The packaging leader has launched a new competition as part of its drive to solve one of the biggest challenges in the packaging industry – to reduce the amount of nonrecyclable waste that is generated every day. To develop an alternative for the plastic stretch wrap which is used around pallets to provide stability during transport and storage To develop a fully paper-based parcel with thermal protection for chocolates, to use in the eCommerce sales channel The competition is open until Friday 29th March 2019 and applicants, who can be any innovator in the world, can submit an idea to address one or both of the design challenges. The winner of each design challenge will receive a prize of 8,000 euro and their ideas will be showcased at the Smurfit Kappa Innovation Event in May 2019. Arco Berkenbosch, VP of Innovation and Development, commented: “Packaging design has an essential role to play in reducing the amount of waste generated in day-to-day life, and in delivering a more sustainable future. 2019 will be the inaugural year of the Better Planet Packaging Design Challenge. The competition is a key part of Smurfit Kappa’s Better Planet Packaging initiative. 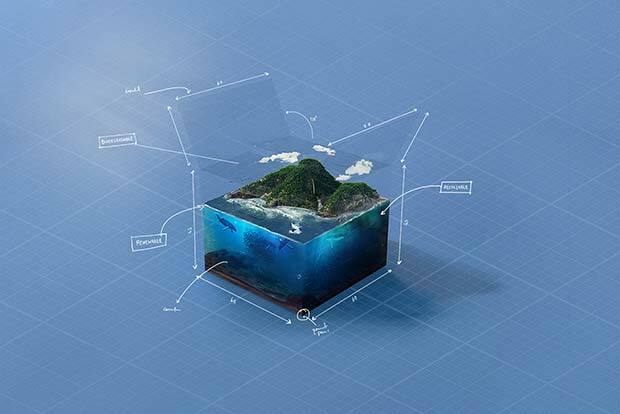 Launched in September 2018, it is at the heart of Smurfit Kappa’s core business strategy and aims to deliver breakthroughs that will re-imagine packaging for a more sustainable future. Smurfit Kappa is one of the leading providers of paper-based packaging solutions in the world, with around 45,000 employees in approximately 350 production sites across 33 countries and with revenue of €8.6 billion in 2017.